One hour online private coaching session with Kristen. 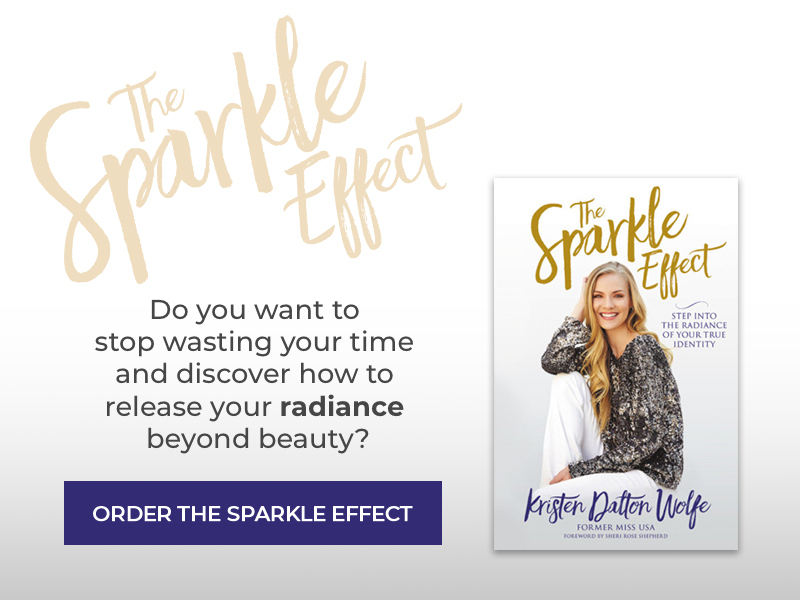 If you are a millennial woman preparing for a pageant, an interview, going through a relationship struggle or just want breakthrough in your life, I’m here to help you win… from the inside out. Our time together will be tailored to your specific needs. When it comes to achieving your goals and being truly confident, there is one thing that will set you apart. It’s the invisible quality I call The Sparkle Effect. You get it through training for reigning. Whether you believe it or not, you were made to shine. But your light might be hiding under layers of false beliefs about yourself, half truths, spiritual damage and hurtful experiences. My goal is to help you fully walk in your royal identity by unveiling the layers to release your God-given radiance. In one session, it’s important that you are clear on what it is you need help in so we can dive right in to get a fast track breakthrough/result. Get your journal, pen, an open heart and let’s go deep. And of course have some fun along the way!